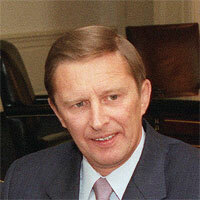 (Interfax – Moscow, March 31, 2014) Sergey Ivanov, head of the Kremlin administration, is stressing the importance and relevance of Russia drawing up a state cultural policy: the scenario in Ukraine, which led to the abandoning of traditional values and a division of society provoked from abroad, must not be allowed. “The latest events in Ukraine show just how grave the consequences can be for statehood when traditional values are abandoned and there is a division in society provoked from abroad. We cannot allow this to happen, we do not have the right,” Ivanov said at a session of the working group drawing up the draft fundamental framework of state cultural policy. He stressed the importance of a state policy designed to ensure the strengthening of the civil, ethnic and cultural identity of the people of the Russian Federation. “This, by the way, is particularly relevant at the moment, when the tough global competition in the area of ideas and information is becoming ever more aggressive,” Ivanov said. According to him, the development of the fundamental framework of state cultural policy will require significant changes to existing legislation. These should be new, directly applicable laws, rather than numerous pieces of secondary legislation. “As is known, the law is the basis of any state activity. It is clear that, in working on state cultural policy, we will need to make significant changes to existing legislation. That is already clear to us,” Ivanov said. According to him, changes will be required in the widest range of areas. “And here it is extremely important to make sure that, when we emerge, it is directly applicable standards that should predominate. In other words, these should be laws, rather than numerous pieces of secondary legislation that people simply never read and will never read,” Ivanov added. He noted that the main principles and objectives of the draft fundamental framework of state cultural policy are to revive the role of culture in society, focus on the development of regions and overcome the generation gap. Ivanov asked for close attention to be paid to the devising of the main parameters of the document at the level that directly affects citizens and those who take part in cultural activity, without for a moment forgetting about the specific individual. “We are working in the interests of the country, and we need groundbreaking ideas and genuinely effective mechanisms to achieve and constantly adjust our tactical objectives, allowing us to take account of the ethno-cultural, religious, regional and other characteristics of different groups and communities,” Ivanov said at the meeting of the working group. According to him, the universal nature of the aims of state cultural policy cannot signify unification of the forms and methods of their implementation. Only an understanding of the individuality of each individual can make cultural policy truly effective. “Unfortunately, the realities are such – and let’s talk openly about this, call things by their proper names – that the overwhelming majority of our fellow citizens take a very dim view of the place and role of culture in our daily lives,” the head of the Kremlin administration said. “So I understand that this is a very tricky objective, but, even so, what is required of us is to find forms of collaboration between people and society that would kick-start their natural desire to understand, perceive and create something new, something beautiful, that would revive their desire to be citizens of their country and bearers of their fatherland’s culture,” he added. Ivanov recalled that the frenzied development of information and communication technologies has led to the emergence of a major divide between the older generations, who grew up in the “analogue” era, and the younger generations, who are growing up in a “digital”, virtual space. Cultural policy should create and harness every possible lever to transfer the moral and cultural experience amassed by society and new generations, and without this sort of continuity, society simply cannot develop, he added. “Particular attention needs to be paid to the regions, because the objective of overcoming the geographical and social inequality between citizens, as they exercise their rights to access cultural values and to take part in cultural activities, is a key objective. And in general, the regional aspect, in my opinion, should play a very large role here,” Ivanov said.